On your Golden Pipeline journey, explore the Wheatbelt towns along the trail – Meckering, Cunderdin, Tammin, Kellerberrin, Merredin, Westonia and Southern Cross. Road Conditions: Sealed roads with short stretches of maintained unsealed sections to attractions. Explore the route of a really impressive engineering feat, C.Y O’Connor’s water pipeline constructed over 100 years ago. 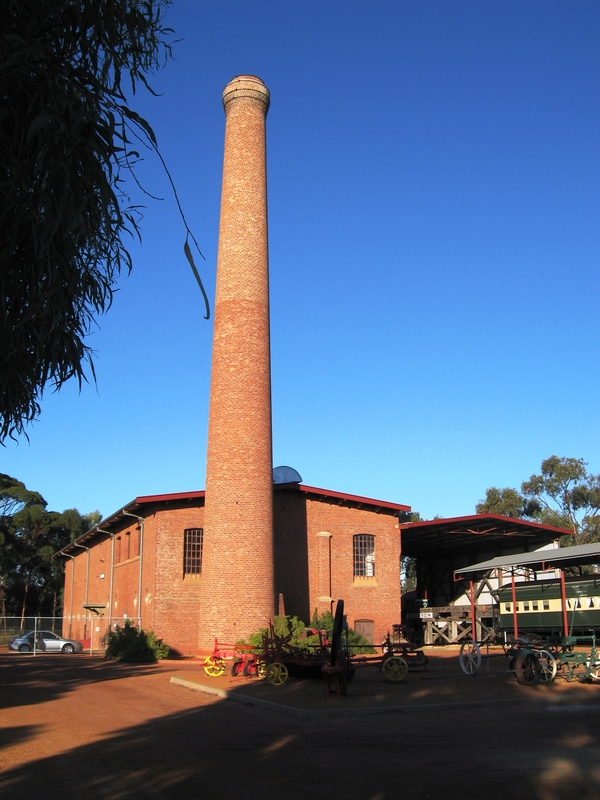 Visit the old pumping station sites and highlights like the Cunderdin Museum No.3 Pump Station, historical landmarks or Merredin’s No.4 Pump Station a stabilised ruin. 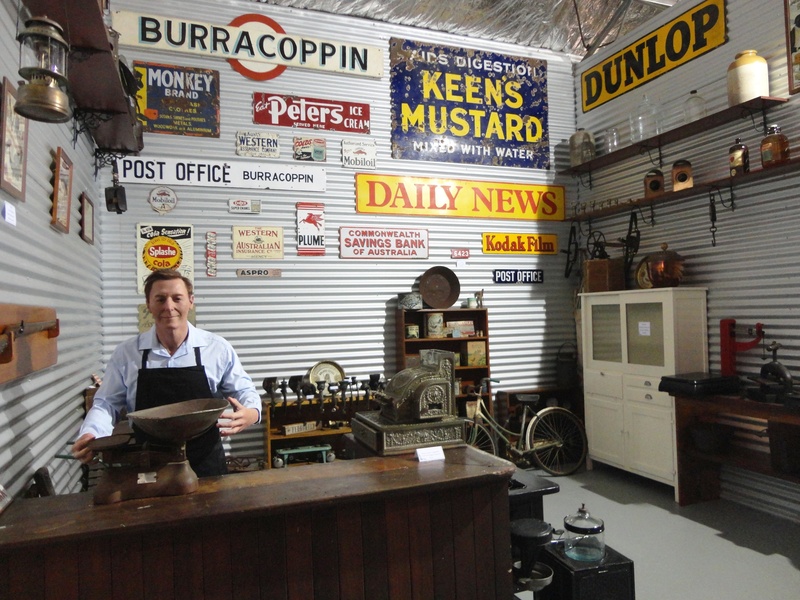 Marvel at the 1968 earthquake interpretation story and memorial sites at Meckering and experience an earthquake simulation room inside the Cunderdin Museum. Don’t miss the view from the Kellerberrin Hill lookout as the pipeline takes you past rock water catchments and springtime wildflowers. See a rock wave formation and pioneer well at Totadgin Conservation Park 14kms south of Merredin. At Merredin Peak, walk trails follow an 1890’s rock water catchment wall over the granite outcrop and spillway into Railway Dam. Cross the original site of the No.1 Rabbit Proof Fence at Burracoppin and north from Carrabin is Westonia where history is preserved in the buildings facades. Westonia’s gold mining and social history encapsulated in the remarkable Hood-Penn Museum with a mine blast simulation tunnel. 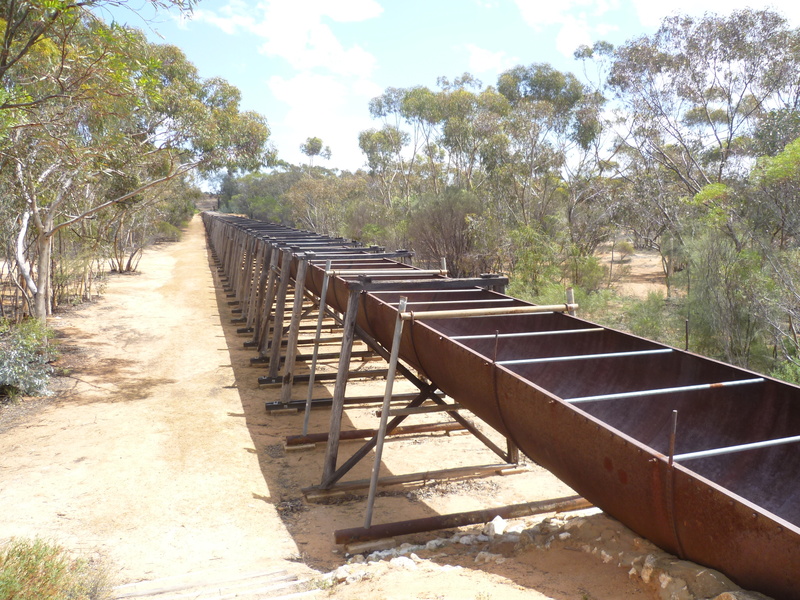 At Southern Cross take in the Yilgarn History Museum displays and collections and travelling 50km east to Karalee Rock reservoir, a remarkable early example of a timber and steel aqueduct water catchment feature. Natural history abounds as you travel on through the Great Western Woodlands stopping along the Great Eastern Highway at RV Friendly sites following the Golden Pipeline Heritage Trail onto Coolgardie and Kalgoorlie. There are numerous options for RV’s with most towns having caravan parks and RV friendly camp sites, some with facilities. If you are looking for a bed, there are B & B’s, self-contained units, farm stays, motels & hotels.